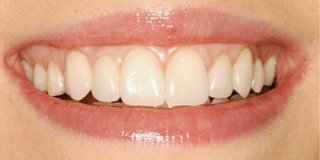 What is a Prosthodontist and FACP? Doctor of Dental Surgery: the degree awarded upon graduation from dental school. DDS is analogous to DMD: Doctor of Dental Medicine. DDS and DMD use the same curriculum requirements as set by the American Dental Association’s Commission on Dental Accreditation. Three to four years of undergraduate education plus four years of dental school is required to graduate and become a general dentist. 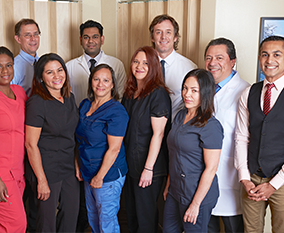 Both degrees allow licensed individuals to practice the same scope of general dentistry. To become a dental specialist, such as a Prosthodontist, additional postgraduate training is required. Specialty training in Prosthodontics requires three additional full-time years of didactic and clinical education after graduating from a four-year dental school. Prosthodontists receive specialized postgraduate training in the restoration and replacement of teeth. 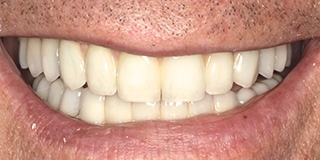 This includes intense instruction in partial and full-mouth reconstructive techniques, dental esthetics, and restorative implant dentistry. 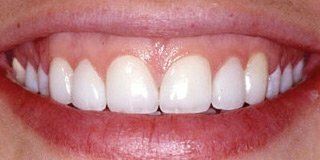 Prosthodontists are specialized in restorative treatment procedures such as dentures, dental crowns, bridges, porcelain veneers, inlays and onlays, post and cores, implant dentures, and cosmetic dentistry. Fellow American College of Prosthodontists (FACP): a distinction awarded to members of the American College of Prosthodontists whom have achieved Diplomate status with the American Board of Prosthodontics. The mission of the American Board of Prosthodontics is to certify individuals who have demonstrated special knowledge and skills in Prosthodontics. The Board also seeks to certify those who are committed to lifelong learning and a lifetime of ethical practices, who value the doctor/patient relationship, who respect those with philosophical, cultural or physical differences and who are committed to the advancement of prosthodontics. The American Board of Prosthodontics recognizes its responsibility to the profession and to the public and accepts this responsibility through the administration of an examination designed to identify individuals with the knowledge, skills and attributes deemed important to those who will be called Diplomates of the American Board of Prosthodontics. Some patients have preexisting health conditions which, according to the American Heart Association (AHA), require antibiotic premedication before invasive dental procedures. This involves taking a dose of antibiotics one hour before dental treatment as a precautionary measure to help prevent bacterial endocarditis: a serious health risk caused by bacterial colonization of the lining and/or valves of the heart. 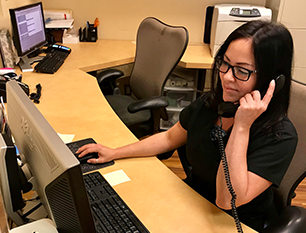 If, upon assessment of your health history, it is discovered that you have a condition that requires antibiotic premedication, our prosthodontists will consult with your physician on how to best manage your particular situation. For more information on bacterial endocarditis, click here to visit the AHA website. If the socket where the tooth was lost is actively bleeding, get a clean handkerchief or tissue, fold it up, and then hold it over the socket and bite down to apply pressure. If you need medicine for pain, don’t take any medication containing aspirin as this can encourage further bleeding. Tylenol is a good substitute. 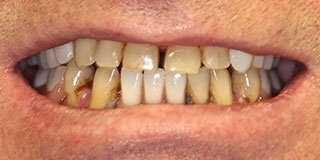 If the tooth is whole, it needs to be replaced in the socket as soon as possible: ideally in less than 30 minutes, but teeth have been successfully re-implanted up to 60 minutes after being knocked out. It is not a good idea to try re-implanting the tooth back into the socket if it seems broken. It is important to avoid handling the root. If it is dirty, rinse the root with milk and wipe it with a clean tissue. Do not clean the root with disinfectant or water or let it dry out. Holding the tooth by the crown, place it back into the socket firmly, root first. Bite gently on a clean handkerchief to keep it in place. Then call our office and see one of our doctors as soon as possible for an emergency appointment. If you have trouble placing the tooth back into its socket, it will have a better chance of survival if you keep it in in your mouth between your cheek and gums until you see your doctor. If this is not possible, keep it in milk. Then call our office and see one of our doctors as soon as possible for an emergency appointment. If a tooth is successfully re-implanted, additional therapy to help increase the chance of survival will likely be necessary. Your doctor will inform you of any potential further treatment that may be required. It is not recommended to re-implant a baby tooth because it may damage the forming adult tooth underneath. Also known as caries, dental decay is one of the most common of all human pathologic processes, second only to the common cold. Bacteria that are normally present in the mouth will convert all foods, especially sugars and starch, into destructive acids. These acids can break down tooth enamel and dentin. 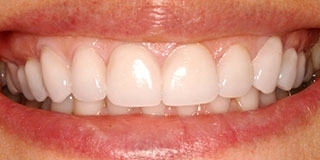 Caries will, if left untreated, eventually destroy tooth structure and potentially lead to infection and/or tooth loss. The bacteria in dental plaque can irritate the gums (gingiva) and eventually cause infection. When your body launches an immune response against these bacterial pathogens, the gingiva becomes inflamed. 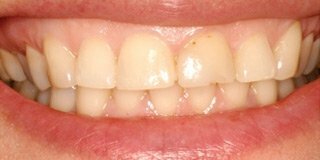 Patients with gingivitis usually experience little or no discomfort. Hence, it is important to recognize the symptoms, such as gingival tissue that is red, swollen, or bleeds easily, in order to take the appropriate steps to remedy this clinical situation. Gingivitis is reversible with professional treatment and good home oral care. However, if gingivitis is left untreated, it can progress to more serious forms of periodontal disease. If you think you suffer from gingivitis, don’t hesitate to ask our hygienists or doctors what you can do to treat it. The word halitosis is derived from the Latin word “halitus”, which means breath, and the Greek suffix “osis”, which means condition. 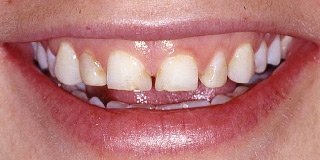 This condition, in most cases, will originate from the gums and tongue. The odor is usually caused by bacteria and retained food debris due to poor oral hygiene. Proper brushing including brushing the cheeks, tongue, and palate will aid in the removal of bacteria and food particles. Flossing aids in removing accumulated bacteria, plaque, and food that may be trapped between your teeth. Mouth rinses, such as Listerine (© Pfizer Ltd.), are effective in the relief of bad breath, but only as a temporary measure. Bad breath can also occur in people who have periodontal disease, diabetes, kidney failure, or a liver malfunction. Xerostomia (dry mouth) and tobacco use also contribute to halitosis. Foods with onion, garlic, and coffee can often be detected on a person’s breath for up to 48 hours after digestion. It is extremely rare to have bad breath originating from the stomach. Visiting your dentist on a regular basis will allow for removal of plaque and bacteria that build up on your teeth over time. If you believe that you suffer from halitosis, your dentist and hygienist can help determine its source. Obstructive sleep apnea (OSA) is a potentially serious condition characterized by episodes of breathing cessation, often more than 10 seconds, during sleep. This is most commonly caused by closing of the upper airway while asleep when the muscles of the mouth and throat relax. The most common symptoms of OSA are loud snoring and drowsiness during the day. Other symptoms may include morning headaches, dry mouth, cognitive dysfunction, and depression. Men who are overweight and older than 40 are at a greater risk for OSA, although this condition can affect anyone. Untreated severe OSA can lead to serious health conditions such as hypertension, heart disease, and stroke. Weight management and avoiding use of alcohol and sedatives before bed may relieve OSA in some people. Additionally, mechanical dental devices inserted into the mouth at night to keep the jaw position forward may help in mild to moderate cases of OSA. In severe cases, referral to a sleep disorder specialist may be necessary. If you believe you may be suffering from sleep apnea, don’t hesitate to consult with one of our doctors. As is the case with all cancers, oral cancer is an extremely serious condition. Presently, only about 50% of patients diagnosed with oral cancer survive more than five years. Oral cancers are particularly dangerous because most have a high risk of recurrence after treatment. There are several types of oral cancers, but about 90% are squamous cell carcinomas. It is important to detect oral cancer early, and therefore see your dentist on a regular basis for check-ups. Oral cancer often begins as small white or red discolorations or sores anywhere in the mouth including the lips, gum tissue, tongue, palate or cheek lining. Sores that bleed easily and never heal. 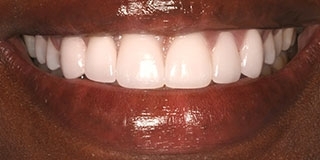 Changes in the color of tissues in and around the mouth. Any growth or thickening of the tissues of the mouth, persistent rough spots, or eroding areas. Numbness anywhere in the mouth or on the lips. Unexplained difficulty chewing, swallowing, speaking, or moving the jaw or tongue. Smoking, particularly with the use of alcohol, can increase your risk of developing oral cancer 10-fold or greater compared to people that don’t drink alcohol or smoke. Additionally, prolonged exposure to the sun can increases the risk of lip cancer. Studies have suggested that a diet high in fruits and vegetables may prevent the development of oral cancer. 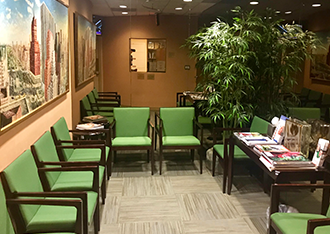 Our doctors screen all new patients for oral cancer, and would be happy at any time to answer your questions or address any concerns you may have regarding this subject. Periodontal disease is a progressive destructive condition affecting the tissues surrounding and supporting the teeth (gum and bone) that can eventually lead to tooth loss. Moreover, recent scientific studies have indicated that periodontal disease appears to be associated with an increase in risk for cardiovascular disease. Even in healthy mouths, the tooth sulcus, or collar of gum tissue around each tooth, is teeming with bacteria, though they tend to be harmless varieties. The best defense against periodontal disease is good oral hygiene, including proper brushing and flossing techniques, and regular dental cleanings with your hygienist and check-ups with your doctor. If you are diagnosed with active periodontal disease, you may be referred to a Periodontist, a dentist who specializes in treating this condition, for evaluation and potential treatment. The American Dental Association (ADA) recommends that pregnant women eat a balanced diet, continue to practice good oral hygiene (brushing twice a day and flossing once a day), and visit the dentist for regularly scheduled dental cleanings. All elective dental treatment, such as routine dental X-rays, teeth whitening and other cosmetic dental procedures, should be avoided, especially during the first trimester and second half of the third trimester: these are critical time periods in the baby’s growth and development. However, if you are experiencing dental pain, emergency treatment should not be delayed. Minimal use of X-rays for emergency can be completed with proper shielding of the abdomen to protect the baby. Local anesthetic can also be used conservatively, preferably without the use of epinephrine. Antibiotics such as penicillin, amoxicillin, and azithromycin are safe to use during pregnancy. 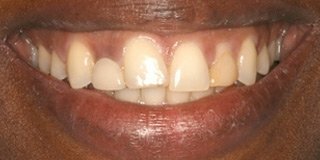 Tetracycline should be avoided because it can permanently discolor your unborn child’s developing teeth. It is recommended that all adults have a dental cleaning at least every six months. 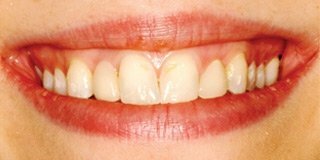 If you are pregnant, it is very important to receive your regularly scheduled cleaning because pregnancy causes increased hormone levels that put you at a greater risk for periodontal disease and especially inflamed, sometimes swollen gums that bleed easily – a condition called pregnancy gingivitis. Recent studies have indicated that pregnant women suffering from periodontal disease may be at a greater risk for preterm delivery, which subsequently increases the risk of having a low-birth weight baby. The temporomandibular joints (TMJ) are the joints that connect the mandible (lower jaw) to the temporal bone (part of the skull). This joint is located just in front of each ear and allows the mandible to rotate and slide. When the TMJs are properly aligned, a smooth muscle action, such as chewing or speaking, can take place. When these components are not properly aligned and poorly synchronized, difficulties may arise. Temporomandibular disorder (TMD) is a general description for any disorder of the jaw muscles, TMJs, and/or the nerves associated with chronic or acute facial pain. The exact etiology of TMD is often multifactorial and difficult to diagnose. Often it is due to physical trauma of, or strain due to, or bruxism (the grinding or clenching of teeth) on the jaw muscles and/or TMJ(s). TMD is often a very difficult disorder to fully cure, and effective treatment may require a combination of therapies over an extended period of time. If you think you are suffering from TMD don’t hesitate to consult with one of our doctors. Xerostomia is a condition in which your mouth is unusually dry. Xerostomia is a common problem that may seem like just nuisance, but it can affect both your enjoyment of food and the health of your teeth. The result of reduced or no saliva, xerostomia can lead to dental problems because saliva helps prevent tooth decay by limiting bacterial growth and washing away food debris. Saliva also enhances your ability to taste and makes it easier to swallow. Additionally, various enzymes in saliva aid in digestion. Xerostomia can be a side effect of many medications, caused by tobacco use, cancer therapy, or systemic health conditions such as autoimmune diseases or diabetes. After determination of the cause, various treatments can be prescribed by your doctor ranging from simple dietary changes to special mouthwashes to prescription medication to remedy the condition.